Ski Runners make it safe to train on the court! This upgrade adds versatility to your use of the sled. 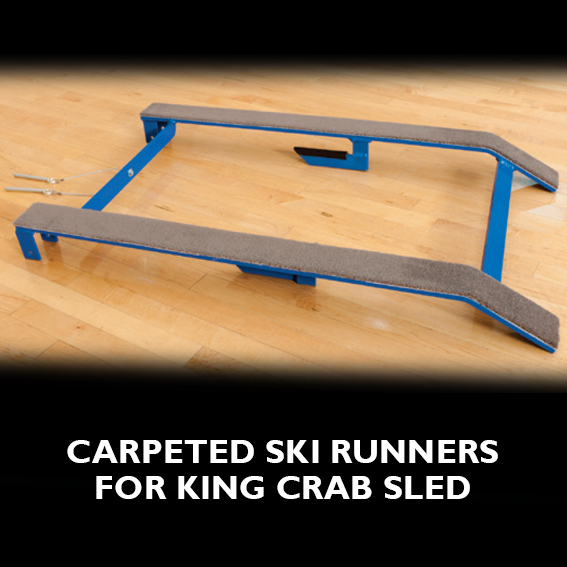 The Ski Runners clip onto the bottom of the King Crab Sled allowing use of the sled on a gym floor, linoleum floor, or smooth concrete floor, as well as anywhere else without the ski runners! Ski runners are bottom side covered with high density carpet to make it gentle, so the sled does not damage flooring. The KING CRAB SKI is an optional upgrade that clips onto the bottom of the sled. 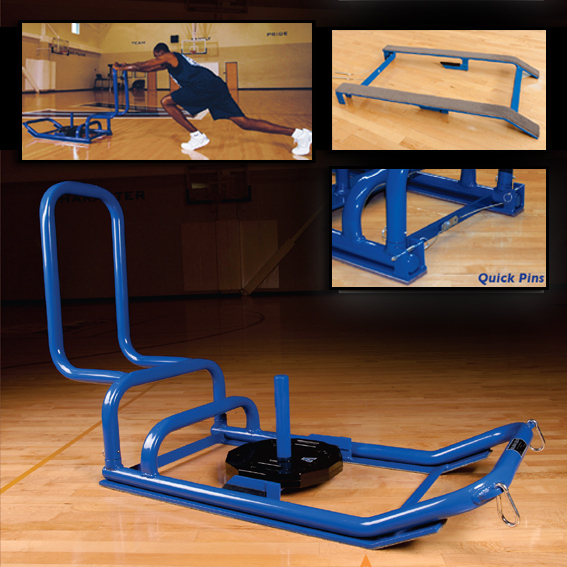 Allows use of the sled on a gym floor, linoleum floor or smooth concrete floor during off-season workouts. Bottom side covered with density carpet.